Your diamond is 100% real and receives a grade according to the four (universal grading) C’s: Color, Clarity, Cut, and Carat. The fifth C (chemistry) is where unique lives. In the soul of the stone. In the heart of your diamond. 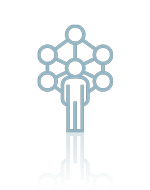 Thanks to our tech you get to define your diamond’s DNA. Choosing the right color for your diamond is based on personal preference. It’s important to remember that you are generally searching for a stone with little to no color. Diamonds are colored when the crystals grow inside the earth. Tiny traces of some elements like nitrogen can color the crystals. In addition, the pressure involved in the diamond formation creates distortion in the crystal structure which is believed to contribute to its color. The color evaluation on gem-quality diamonds is based on the absence of color. The Gemological Institute of America (GIA) uses a 12-letter alphabetical scale of D to Z. Using this scale, the diamond on the lower end of the scale (D) will have the least amount of color. Carat weight is the easiest to understand of the 4C’s. A diamond’s weight is measured in carats. 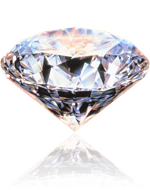 The carat is subdivided into 100 equal parts called ‘points.’ One point equals .01 carat or 1/100 carat. A one carat diamond equals 100 points. Carat weight is written in decimal numbers, but it is frequently expressed in fractions which are easier to understand. Diamond weight fractions are approximate and refer to ranges of weight. 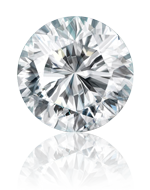 Diamond prices increase with carat weight because larger diamonds are less common and more desirable. 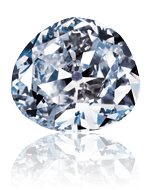 However, two diamonds of equal carat weight can have dramatically different values depending on three other factors: Color, Clarity and Cut. Simply stated, clarity is a measure of the tiny imperfections found in almost every diamond. 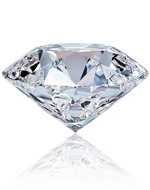 A flawless diamond with little to no imperfections is often desired due to its rarity, but they are also the most costly. Therefore, it is important to keep in mind that it is very common for diamonds to be formed with slight imperfections. These imperfections are known as “inclusions” and usually occur during the diamond’s crystallization period within the earth, or from the stresses of mining and processing. Inclusions are anything from tiny white points to dark dots, cracks or scratches. The fewer inclusions, the more valuable a stone is. Some moments and memories are intensely precious – worth marking as milestones and capturing, like chapters of your scrapbook, inside a diamond, like frozen poetry or time in a bottle. And worn as reminders – or given as gifts. This is the part that is pure chemistry. The supernatural in the natural – the hardest substance on earth, now with the softest heart.